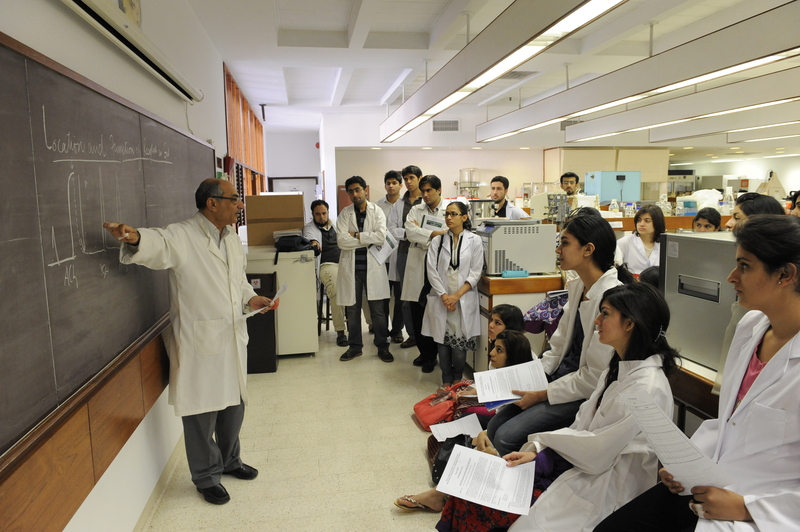 Lecture Hall, Aga Khan University Medical College, Karachi, Pakistan. 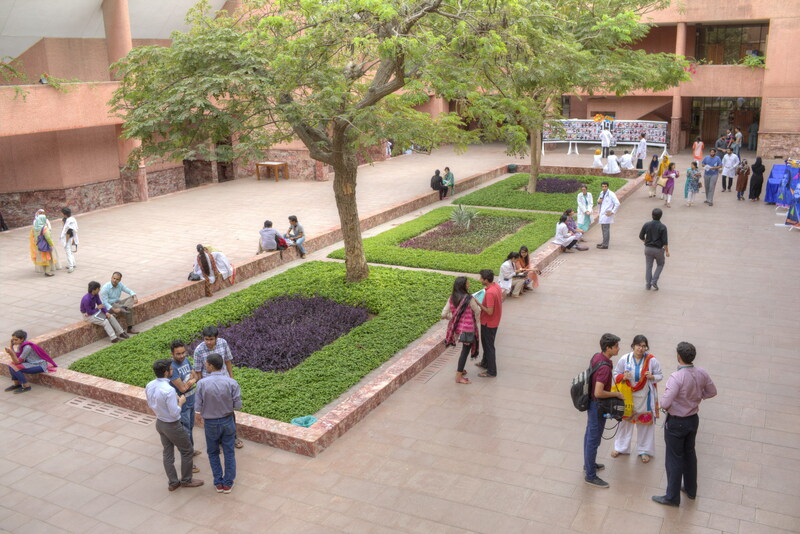 Medical College courtyard, Karachi, Pakistan. 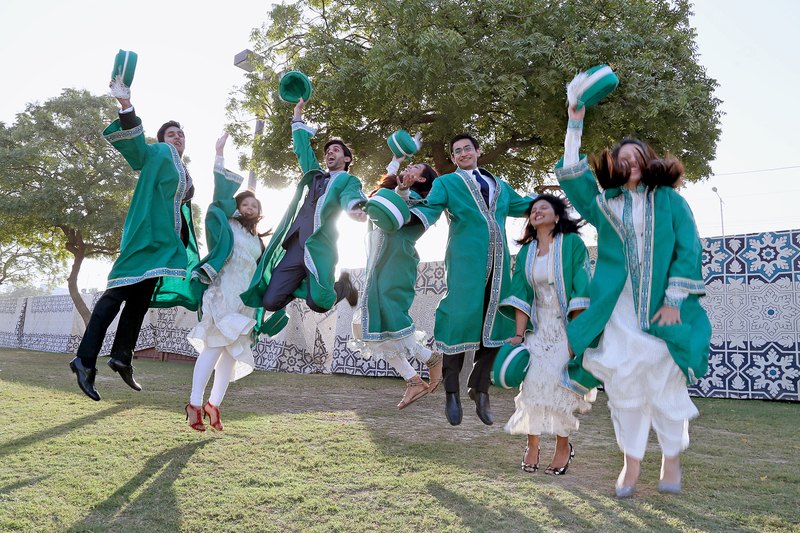 The Aga Khan University (AKU)'s medical graduates include international leaders such as Dr. Anita Zaidi, who won the $1 million Caplow Children’s Prize in 2013 with her plan to save children’s lives in a marginalised community in Karachi. Forty-nine percent of all physicians educated at AKU are women. 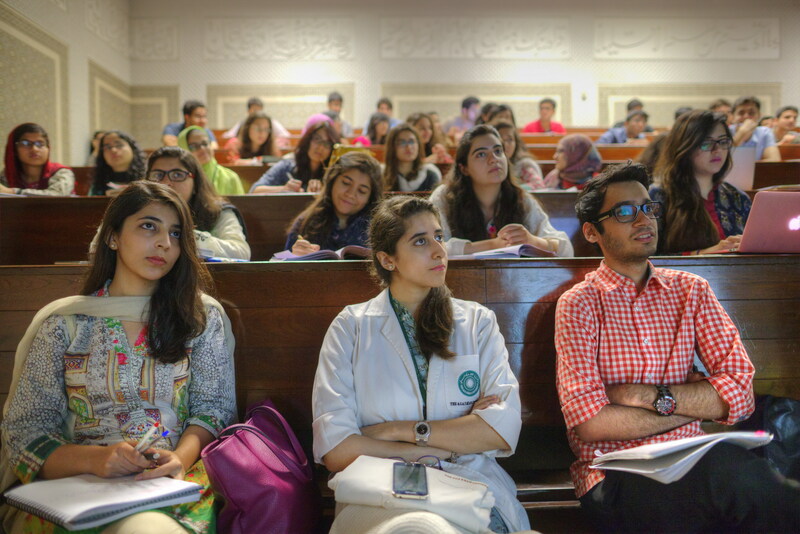 In Pakistan and East Africa, the AKU Medical College faculty and alumni are setting the benchmark for quality of care, training new generations of physicians, developing innovative solutions to public health challenges and providing policymakers with evidence-based recommendations. 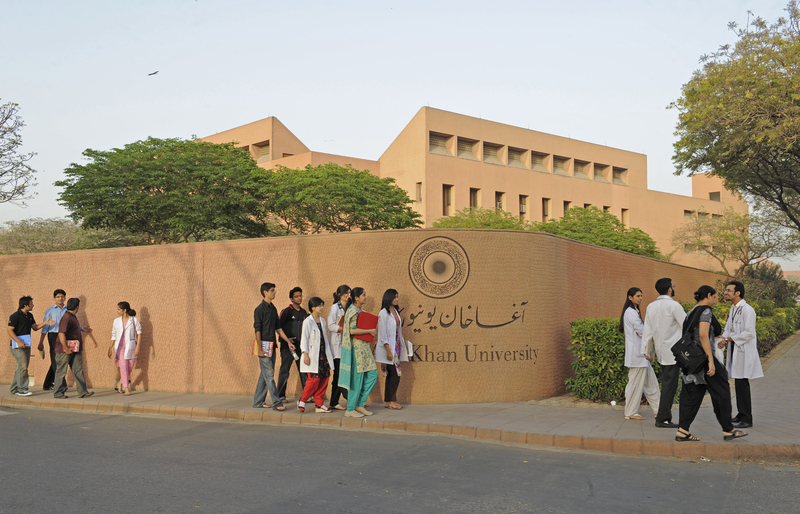 In Pakistan, the University offers the MBBS degree (the equivalent of the North American M.D. ); 33 residency and 27 fellowship programmes; three master’s degree programmes; and a PhD in health sciences. It offers the country’s only fellowships in a dozen specialties. AKU's MBBS curriculum prepares graduates to effectively promote health in challenging contexts, and places special emphasis on primary care and public health. 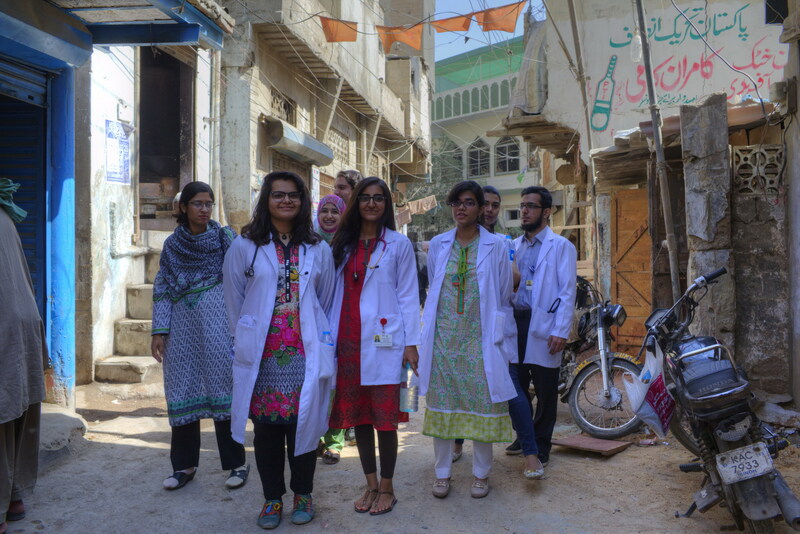 Students spend nearly one-fifth of their time focusing on community health and spend significant time in low-income settlements of Karachi as part of the University’s influential Urban Health Programme. In 2004, AKU began post-graduate medical education in East Africa, and currently offers nine residency programmes, in fields such as paediatrics, obstetrics and gynaecology, family medicine and surgery. The University plans to offer an MBBS degree programme in East Africa as well. In Afghanistan, the University launched residency training in 2012 at the French Medical Institute for Children, and now offers programmes in seven disciplines, including paediatric surgery and radiology. In total, 5,500 men and women have graduated from AKU’s medical programmes. AKU's faculty is deeply engaged in research that addresses some of the most urgent health problems in the developing world. AKU is internationally renowned for its leadership in maternal and child health: in 2013 and 2014, multiple studies authored by our faculty members and published in The Lancet detailed what it would take to save the lives of millions of women and children every year. Students of the Medical College in Sultanabad, Pakistan.